Rev. Frederick J. Wenthe, CSV, associate pastor of St. Patrick’s Catholic Church, and former rector of the Viatorian Fathers Seminary in Washington, D.C. died on Sunday, June 18, 1978 at the age of 76. He was in the 54th year of his religious life and in the 47th year of his priesthood. Father Wenthe died at St. Mary’s Hospital. A native Chicagoan, Father Wenthe was ordained in 1932 and held assignment in Chicago, Illinois, Springfield, Illinois, Kankakee, Illinois and as chaplain at Manteno Developmental Center. 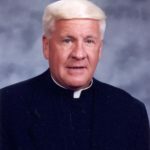 He was chaplain at the Notre Dame novitiate when it was located in Bourbonnais from 1961 to 1963, and was stationed at Mother of Sorrows Institute, Blue Island, 1963-64. 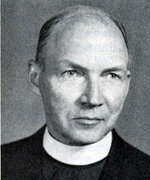 Father Wenthe attended St. Viator’s College, Bourbonnais, Illinois and taught there from 1924 to 1928. The wake was held on Monday, June 19, 1978, at Clancy Funeral Home, 1151 East Court Street, Kankakee, Illinois, at 2:00 p.m. A wake service was held at 8:00 p.m. The funeral celebration was held on Tuesday, June 20, 1978 at St. Patrick’s Catholic Church, Kankakee, Illinois, 428 South Indiana Avenue, Kankakee, Illinois, at 10:00 a.m. 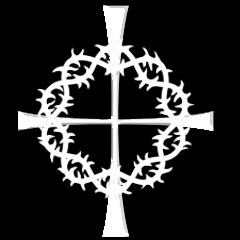 Please remember Father Wenthe in your Masses and prayers.